All over the Woodside area, encompassing the whole of Queens County, the EB5 Affiliate Network’s regional center in New York covers developers who seek funding for EB-5 projects. You can affiliate your Woodside project with an EB5 Affiliate Network (EB5AN) immigrant investor regional center. Let us know you’re interested, and we’ll contact you within 24 hours. Raise EB-5 investment funds anywhere in Woodside. Our EB5AN regional center with coverage of the entire state of New York allows our affiliates to raise EB-5 capital for their projects in any area of Woodside, including its suburbs. 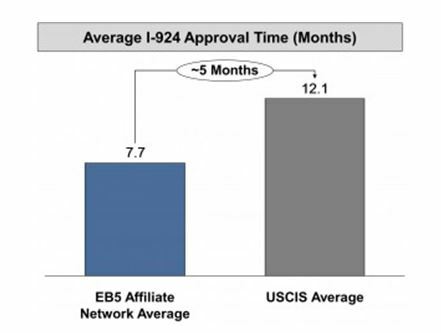 EB5AN operates a total of 15 approved regional centers. You can see these centers and their coverage on the U.S. Citizenship and Immigration Services (USCIS) website. Attract investors by boosting the way your EB-5 project meets job creation requirements. Unaffiliated projects may only count direct employment positions of more than 24 months toward their job creation total. Regional center projects, which allow investors to count indirect jobs, result in higher job creation numbers, so they tend to be much more attractive. This allows developers to easily gather more EB-5 capital for their projects. USCIS compliance is a simple process when you rely on EB5AN’s expertise. We can expedite the EB-5 regional center affiliation process, including calculating your project’s potential to support EB-5 capital and create jobs as well as its suitability for affiliation with our Woodside regional center. Once that’s done, you can raise the EB-5 capital you need. Find more details about the advantages of EB-5 regional center affiliation, including affiliation for your project in Woodside. Does Woodside have TEA designation? One of the most diverse neighborhoods in the country, this historic section of Queens is home to almost 40% Asian Americans, and all of the constituent ethnicities of the area represent themselves in the local cuisine. Woodside is famous for its Thai, Korean, Filipino, Chinese, Indian, Dominican and Ecuadorian restaurants, and the regular and vibrant street fairs and parades are serviced by a litany of pop-up vendors. About 15% of Woodside’s population is Filipino American, and mostly concentrated the neighborhood on Roosevelt Avenue called “Little Manila,” supported by the Bayanihan Filipino Community Center and saturated with mostly Filipino-owned businesses. With a median per capita income of $49,000 per year, Woodside’s population of just over 45,000 can benefit from more employment opportunities resulting from completed EB-5 regional center projects in the community. Our EB5AN State of New York EB-5 Regional Center has geographic coverage of the whole of Queens County. Immigrant investors can meet the qualifications for the EB-5 program and clear a path to US permanent residency when they invest through our USCIS-approved Woodside regional center. By becoming a business affiliate of the EB5 Affiliate Network, you can play an active role in bringing new development and jobs to the people of Woodside. For help with EB5AN regional center affiliation or new USCIS-approved regional center formation, contact us now. Call 1-800-288-9138 or e-mail info@eb5an.com, and we’ll be in touch within 24 hours.